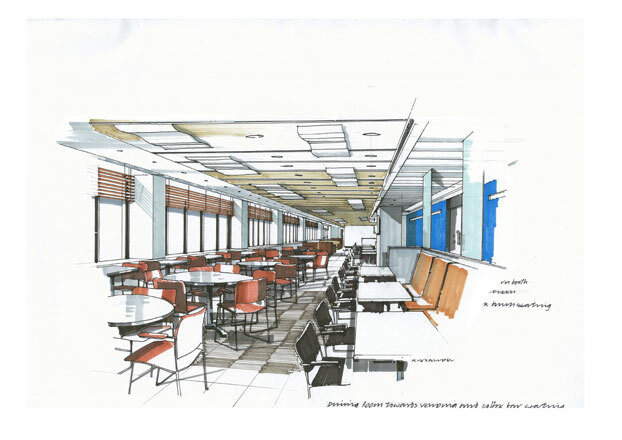 The project was the complete replacement of the entire fourth floor restaurant and catering facility. 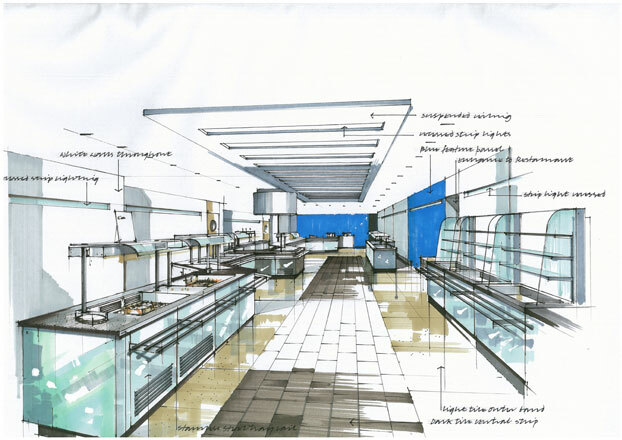 The design was of a contemporary style and included a new staff restaurant, servery and kitchen back up areas. 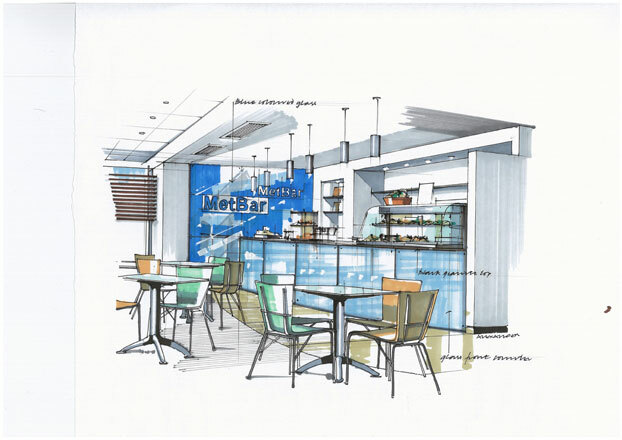 The space was further expanded to provide an internet cafe and an informal coffee lounge area.